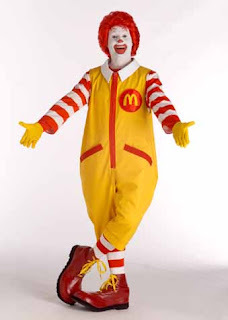 No other fast food mascot comes to mind quicker or is more recognizable than Ronald McDonald. Other than Santa Claus, no other character is more recognized around the world than the hamburger loving spokesman for the McDonalds Corporation. Ronald McDonald was actually an altered version of Bozo the Clown created by an ad executive and a clown from the Ringling Brothers Circus. 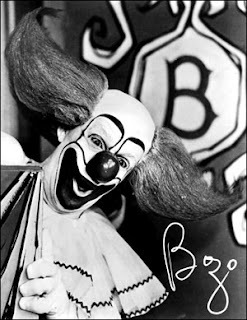 One of the early actors to portray Ronald was a part time Bozo performer and NBC Today Show weatherman, Willard Scott. 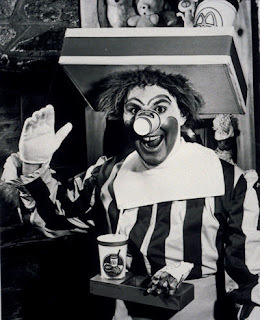 Not only did he give the clown a name, Ronald, he also took a stab at creating the look of Ronald by creating a costume out of a paper cup for a nose and a cardboard tray as a hat. Pathetic? Yes..... yes it was. However, although crude, he was responsible for giving the character a personality and help promote the local franchises. Willard was dumped in 1966 when the corporation took Ronald national citing the reason for dumping Willard as he was "too fat"for the roll and didn't give the proper corporate image. Ironic isn't it? McDonalds wasn't really synonymous with health food at the time (or now) so I'm sure Willard had a chuckle over that one. 25 1966, at the Chicago Macy’s Thanksgiving Day Parade. 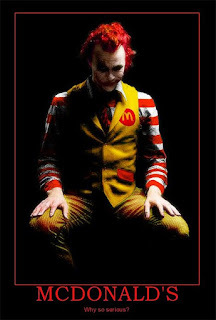 By 1971, Ronald had his own kingdom, McDonaldland, and was joined by more odd-ball, burger-headed characters such as Mayor McCheese, the Hamburglar, Sheriff Big Mac and Grimace, a purple milkshake that could talk. Ronald McDonald has always followed a strict set of secret guidelines that govern how the fast-food icon looks, talks, moves and where and what he can do. To date there have been about nine actors to officially play Ronald on television with many more trained by the company to ensure consistency in mannerisms during local promotions. 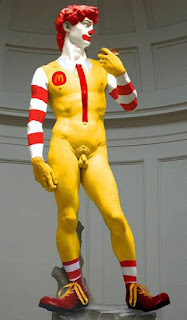 In 1998, McDonald’s ad agency, Leo Burnett, hired LA stylists to refashion Ronald’s hair again and spent months studying whether to increase the width of the red stripes on his socks. If only they spent that time working on their pizza and McLean Supreme sandwiches, I think we’d have been better off!